sleek magazin issue #59 winter 2018/19 | MAGAZIN | UNTERHALTEN | ausberlin - das kaufhaus für produkte aus berlin. Produktinformationen "sleek magazin issue #59 winter 2018/19"
the autumn issue of SLEEK is all about Europe and what it means for artists and creatives. 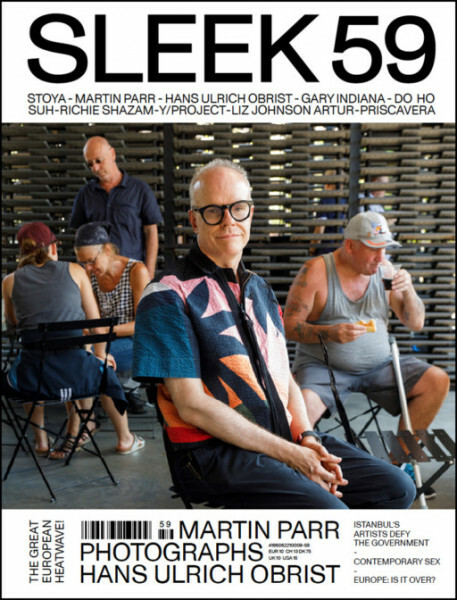 For this edition, SLEEK has a very special cover story: iconic chronicler of British life Martin Parr photographs the celebrated director of London’s Serpentine Gallery, Hans Ulrich Obrist on the gallery’s grounds. As the UK staggers towards its divisive exit from the EU, Parr x Obrist is the ideal over story to reflect on Britishness, art and Europe, setting the scene perfectly for SLEEK 59. -A profile of adult actor and writer Stoya as she launches her new website, ZeroSpaces. Weiterführende Links zu "sleek magazin issue #59 winter 2018/19"
Kundenbewertungen für "sleek magazin issue #59 winter 2018/19"